Hardwood floors are a tradtional flooring choice, popular because of the natural beauty they bring to a space. A wax coating can help extend the life of your hardwood floors by providing a natural barrier that protects against moisture. This popular top coat for hardwood floors is a great choice but it can become dull over time as it collects dirt. Wax should be reapplied regularly (as per manufacturer instructions). Over time, a natural build-up will occur and a deep cleaning of the wood floor is required before it can be sealed or re-waxed again. With a few simple products you can remove the hazy wax build-up but it is a labor-intensive four-step process. Stripping wax is not an expensive process. A few simple supplies are all that is needed to get the job done right. It is most manageable to work in with a small section of flooring at a time. Working in roughly a 4-foot by 4-foot area makes it easy to reach in a single position. 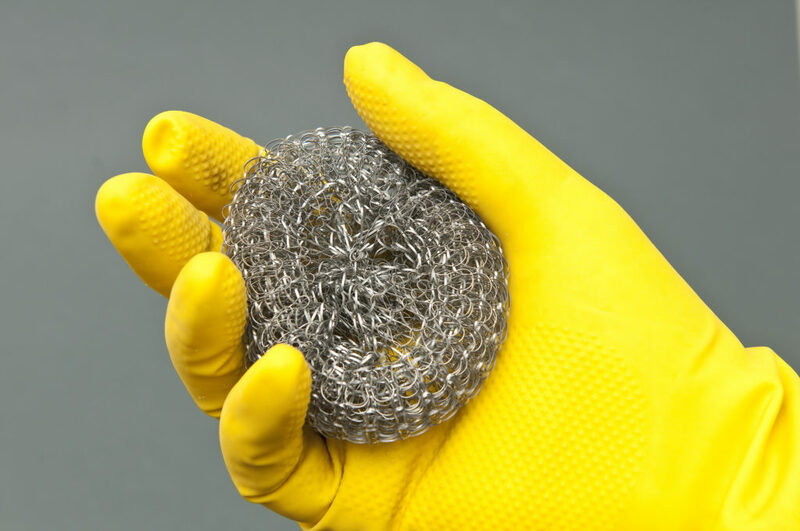 Keep your hands protected as you work with rubber gloves. It is also a good idea to wear old clothing because stripping wax can be a messy process. Once you’ve removed all the build-up and restored your hardwood floors to their original beauty, check out a few tips on how to properly maintain the hardwood flooring. Pour mineral spirits onto a section or the cloth. Start working the mineral spirits into the wax coating by rubbing in the same direction as the wood grain. As you rub, wax will come up on the cloth. When one section of cloth gets dirty, moisten another section of the cloth and keep going. As the wax comes off, you will notice that the cloth turns a yellow hue. When the moistened cloth comes up clean, the wax has been effectively removed. Continue working with mineral spirits and a clean cloth until all the wax has been removed from the section. Once the wax has come up on the cloth and the cloth comes back clean, it is time to move to the next step. Moisten a steel wool pad with the same mineral oil and rub it over the same section of flooring, making sure to rub along with the wood grain. It is easy to work the steel wool into any deep grooves featured on richly textured wood planks. Once the wax layer has been stripped with mineral oil and both a cloth and a steel wool pad, move on to the next section of flooring. Make sure to move along in a logical pattern so it is easy to track where you have been and what flooring you still need to treat. Thick knee pads or a gardening cushion will help to protect your knees and shins as you strip the wax from your hardwood flooring. 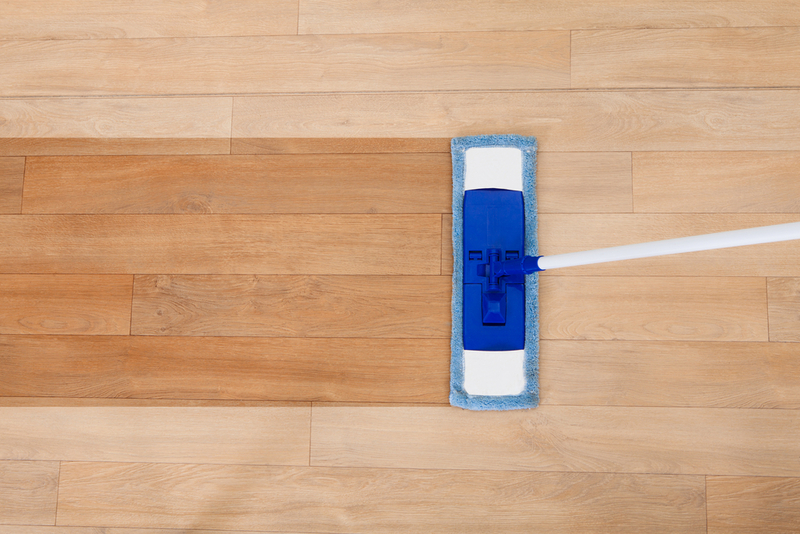 When the whole floor is stripped of wax, give it a final cleaning by mopping the surface of the wood with hot water. Take care to dry any remaining water, as standing water can easily damage the surface of hardwood floors. Try working in sections with a mop and going over it with a dry microfiber cloth on a dry mop. 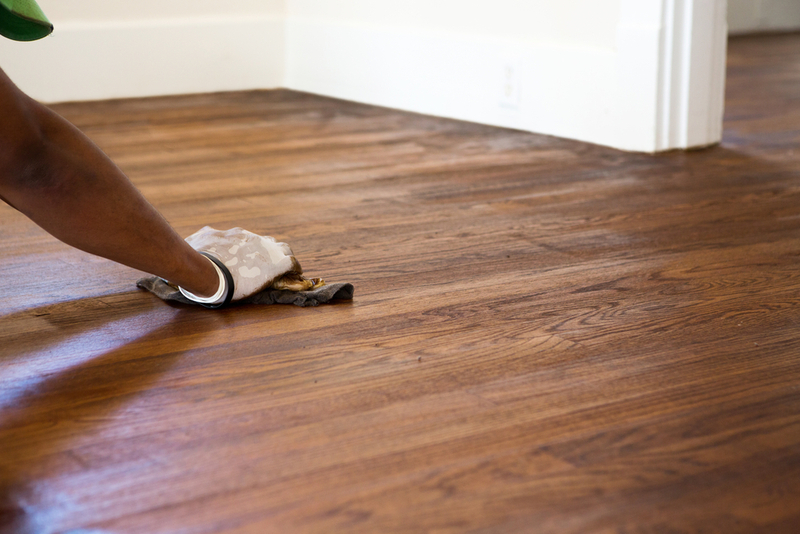 Take the time to allow the floors to dry completely before providing a new finish. When applying a fresh layer of wax on the floors, make sure to follow the manufacturer instructions. Once you are done, take note of how often re-application is required and mark the date in your calendar. After the wax is stripped, you have the choice of applying a polyurethane coating that is more durable than a wax coating. This can be a stronger, and longer-lasting alternative if you want to prevent wax build-up in the future. Do not apply a layer of polyurethane until you are certain all wax is removed. When in doubt, rub a cloth with mineral oil over the surface and see if it comes up clean. If it does, it is safe to apply polyurethane. 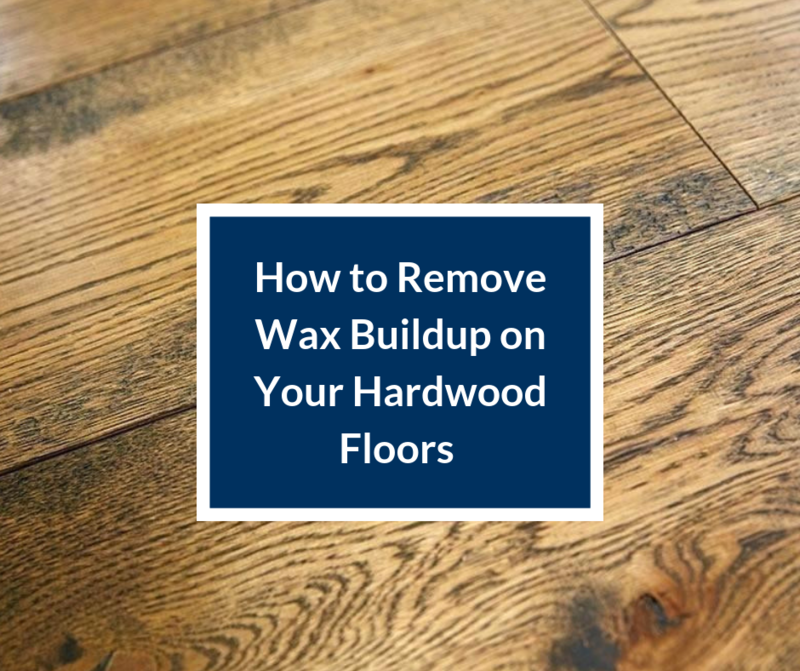 Getting rid of years of wax build-up can be a labor of love but with a little hard work, and a few inexpensive supplies, it is easy to restore the look of your hardwood floors. Make easier work of this task by enlisting the help of a family member or friend. It may also help to break up an expansive space into different rooms and split up the workload over the course of a few different weekends. Try starting with a manageable area, such as a foyer.